Today, we finish up our team capsules with the remaining 4 teams in the NCHC. We introduced you to Western Michigan, St. Cloud State and North Dakota in Part 1 of our team capsules. Let’s just jump right in and meet the remaining 4 teams. UNO is another familiar foe of the RedHawks, having played in the CCHA with Miami from the 1999-2000 through 2009-10 seasons. In 2010, they joined the WCHA for a few seasons, and will make the jump to The National this season as a charter member. The Mavericks lost 10 letterwinners last season, one of which came to Miami: Forward Andrew Schmit, who played in 20 games for the Mavs last season. They have plans for building a new multi-purpose, 7,500-seat arena on campus, rather than playing in the CenturyLink Center, but the school insists on not using taxpayer money (a great move), and is working on raising the estimated $65-80 million needed for the new building. The 2011 NCAA Champions boast 5 Hobey Baker winners, 11 Regular Season Championships and 3 Conference Tournament Championships, having played in the WCHA since 1965-66. Record vs. Miami: Miami has the only win in this series, their 2-1 victory in the 2009 Regional Final. After a tumultuous offseason, Denver will be entering the 2013-14 season in a rather unfamiliar place. Former Miami Head Coach George Gwozdecky was ousted after compiling a stellar record and 2 National Championships. It was a classic “what have you done for me lately?” type of situation, and apparently 5 tournament appearances in the last 6 seasons wasn’t enough “lately” for the Denver higher-ups. Jim Montgomery will take over as the head coach in Denver, a team that had been in the WCHA since the 1958-59 season, and only trails Michigan (9) in total NCAA Ice Hockey Championships. Colorado College is by far the smallest school in terms of enrollment in the NCHC. They have just 2,034 students compared to 11,800 for the next closest (both UMD and Denver) and over 16,500 for Miami. However, they have been playing Division I Ice Hockey since 1939-40 and have a bit of history in Colorado Springs. Playing in Colorado Springs World Arena has been quite a home ice advantage for the Tigers. They have a 230-99-18 record at home, which is just a shade under a .700 win percentage. Playing there, on their Olympic-sized ice sheet will never be an easy win. 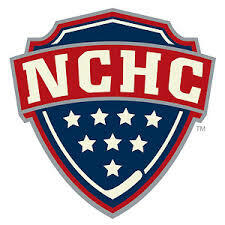 So there you have it, Now that you’ve met the teams of the NCHC, we’ll continue our preseason coverage this week with additional previews and predictions for the upcoming 2013-14 season.